SORRY NOW SOLD!! OVER £5,000 OF OPTIONAL EXTRAS!! STUNNING CAR!!! 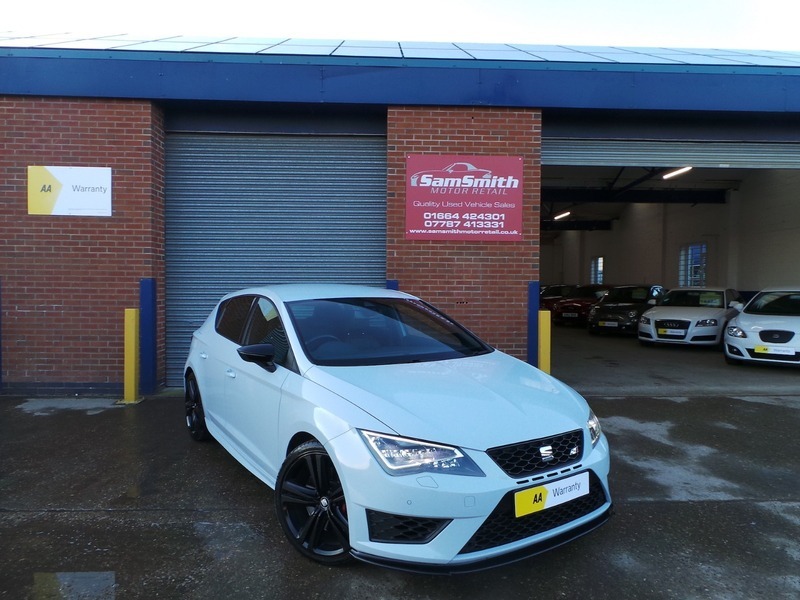 We are proud to offer for sale this incredible Cupra. Lovely condition throughout this car has been very well looked after and looks amazing in Dynamic Grey. This is far from a standard car and comes very tastefully modified. Rare optional sports body kit which consists of extended side skirts and front splitter which really make this car stand out from the rest. Extended steering wheel paddles and a stage 1 remap. Full Leather heated seats, Seat upgraded speaker system, Lane assist and Main beam assist, which again make this car much nicer than standard. Full service history including the all important DSG gearbox oil change. All of our cars go through a very thorough workshop inspection, get freshly serviced if needed and come with a 3 month fully comprehensive (parts and labour) warranty and AA cover. Every car we sell is HPI clear with certificates to prove. LOW RATE FINANCE DEALS AVAILABLE. Open 5 days a week and weekends by appointment. Please call for availability & viewings.